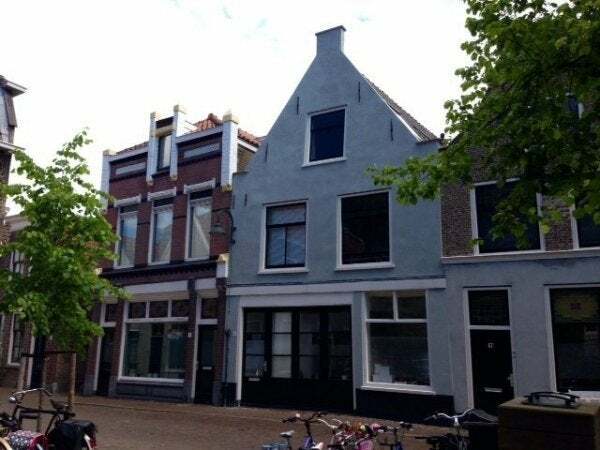 Fully renovated 2 room apartment (52m2) at the first floor in the center of Gouda plus parkingplace in common garage. The entrance of the apartment complex is located on the Kees Faessens Rolwagensteeg. Layout: shared entrance, shared meter cupboard with meters for each apartment for gas, water and electricity, staircase to the first floor, entrance apartment, hal, metercloset with CV, separate toilet, bathroom with shower and washbasin, good size bedroom (approx. 15m2) separate closet with connection for washingmachine, spacious living room (approx. 26m2) with gasstove and hood. The apartment has laminate flooring and double glazing. Rental price is € 850,-- per month including pre-amount for gas, water and electricity.